The international postgraduate program in Molecular Genetics and Genetic Engineering was established in 1994. The Institute of Molecular Biosciences (MB), situated in the heart of beautiful Salaya Campus, is renowned for being the best research university of Thailand. 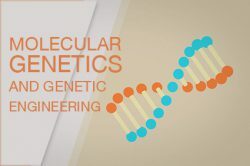 The Molecular Genetics and Genetic Engineering program has been continuously improved and tailored the curriculum to serve the needs of the world in this highly fluctuated and rapidly changed social and economic landscape. 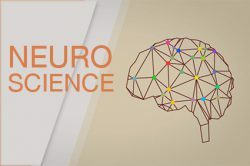 The program is committed to produce graduates with both scientific and interpersonal skills required to 1) understand fundamental knowledge of molecular biology, 2) be able to apply knowledge to develop biological technology platform to solve complex research problems collaboratively and 3) create meaningful and impact biological innovation to improve everyone’s quality of life. The Neuroscience Program at Mahidol University emphasizes the rapidly expanding knowledge on the neurobiological basis of behavior, the critical factors influencing the development and functioning of brain and behavior, chemistry of brain functions, molecular neurobiology of gene expression and their controls in neurons and glial cells, neuropathology of locally and regionally important neuropathology and mental health problems and human and animal behavior in health and in disease. Students are exposed to Problem-Based Learning (PBL) approaches and Self- and Computer Assisted Instruction (CAI) Programs, as well as participation in traditional lectures and small group discussions organized by the teaching staff. In addition, students are required to actively participate in weekly seminars, journal clubs and annual symposia and conferences. 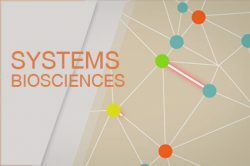 The Systems Biosciences Program at the Mahidol University Institute of Molecular Biosciences was established in 2015. The program is designed to prepare graduate students for careers in integrative research and teaching. Faculty members on the program come from various fields including stem cell biology, thalassemia, cell and gene therapy, vaccine development, virology, structural bioinformatics, drug discovery and nutrition. We offer remarkably diverse graduate research training, spanning the entire breadth of modern and integrative biology, from molecules and cells to complete systems and humans through multi-omics approaches. The program is best suited for students who are independent, who want to play a role in determining their graduate education, and who wish to combine concepts and techniques from different areas of medical science in their research.